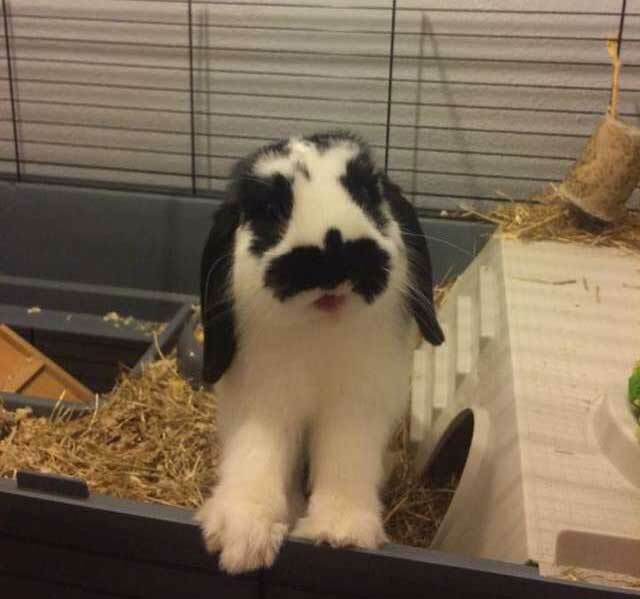 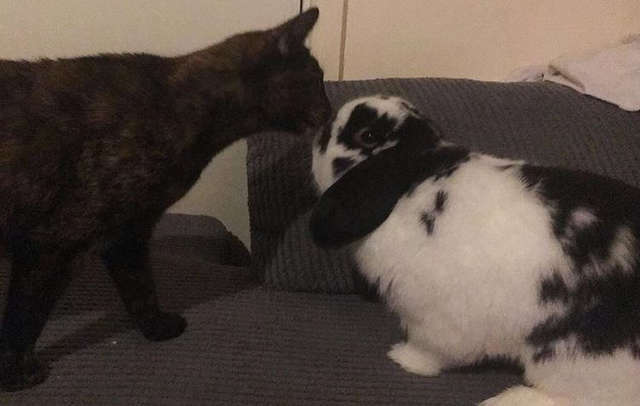 When Scarlett Darby and her family adopted four month old Beau, they had no idea that his personality would be more like a dog than a rabbit. 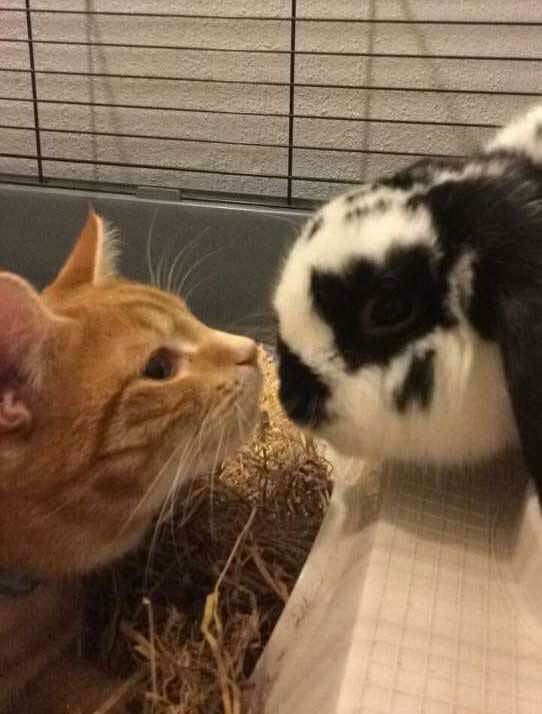 Beau didn’t seem to mind, in fact, he enjoyed sharing it with Ninji. 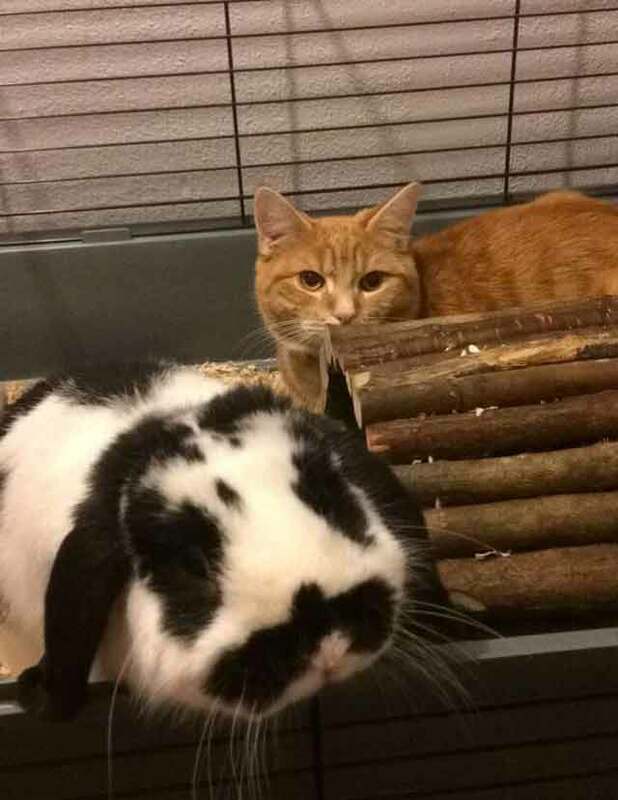 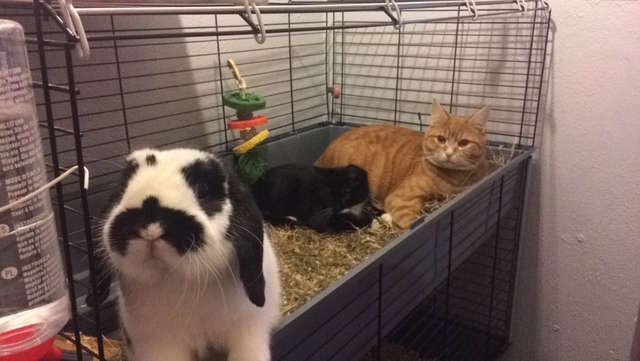 When the family adopted Nibbler the kitten, he began to hang out in there too, it seemed natural for him to copy what his big brother was doing. 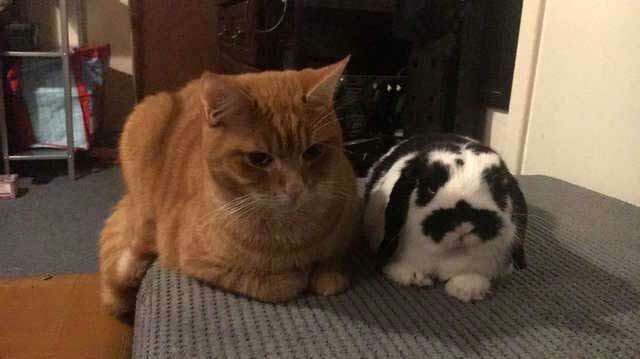 It may seem bizarre to us, but for the Darby family pets it was perfectly normal, they were all part of one big happy family. 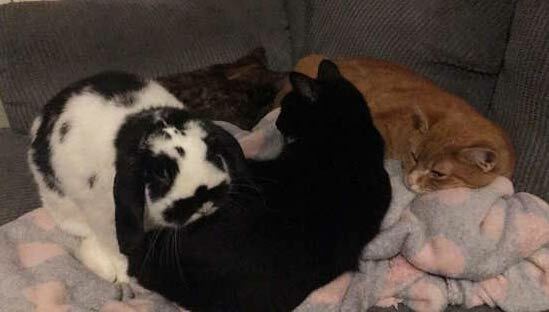 Recently the family got bigger when Lola the kitten was adopted, she bonded with Beau just as easily as her brothers did and soon they were all hanging out in the enclosure together – to them all it was just another day. 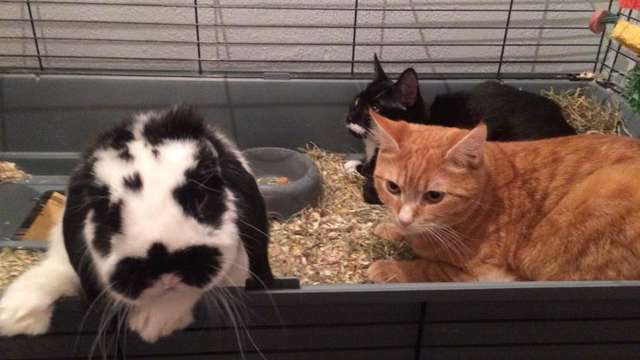 Click here to meet some kittens that have learned how to bunny hop!